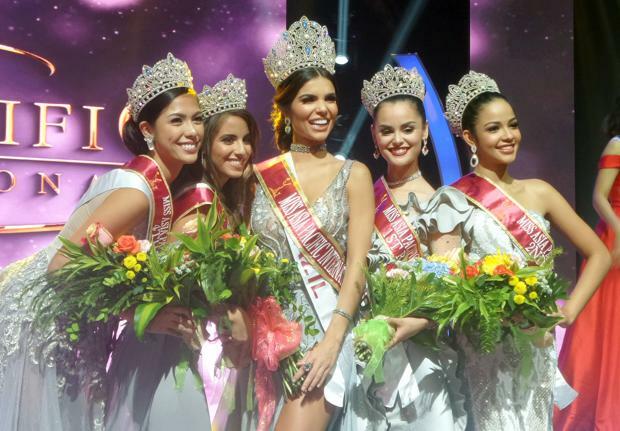 PASAY CITY – There’s a new ambassador for “beauty in diversity” and she’s from Brazil. Francielly Ouriques bested 41 other aspirants for the 2017 Miss Asia Pacific International crown in the final pageant ceremonies staged at the Newport Performing Arts Theater of Resorts World Manila in Pasay City on Wednesday night. She received her crown from Dutch beauty Tessa Le Conge, who bagged the title in last year’s edition, the first after a decade-long hiatus. Finishing second is Acacia Walker from New Zealand, while Valeria Cardona of Honduras placed third. Rounding out the winners’ circle are Morgan Doelwut of the Netherlands and Ilene De Vera of the Philippines who finished fourth and fifth, respectively. Established in the Philippines as the Miss Asia Quest in 1968, the contest later acquired the defunct Queen of the Pacific pageant and was renamed as the Miss Asia Pacific Quest. At the turn of the millennium, the contest expanded and accepted delegates from outside the Asia-Pacific region and was called the Miss Asia Pacific International pageant. P.D. La peruana Patricia Seminario ocupó el Top 15 del certamen.